sailboat. : Five New Books. This was in the 'recommended for me' section on Amazon and, well, I couldn't really resist. The cover is so beautiful and I'm looking forward to reading the stories, especially Babbitty Rabbitty and her Cackling Stump - for obvious reasons! I think this will be a short but sweet read that's a very welcome addition to my bookshelf and I'll keep it safe for if we're lucky enough to have children in the future. 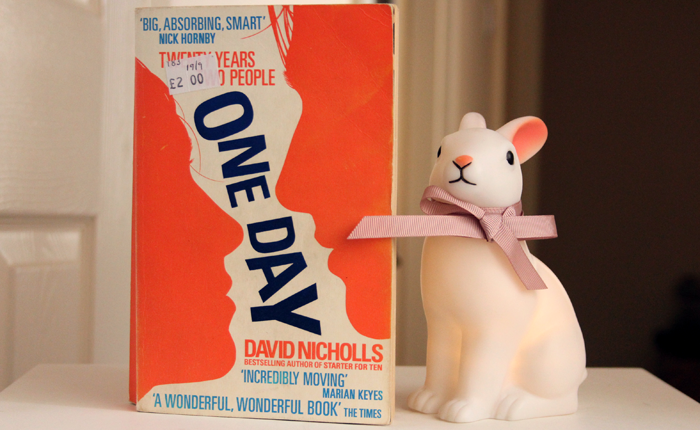 I have seen a lot of great reviews of One Day online and on GoodReads so when I spotted this copy in my local charity shop at the weekend for only £2, I had to pick it up. I don't really know very much about the story other than the blurb and I haven't seen the film but I'm already pretty sure I'll love it. Looking forward to reading this at some point this month. 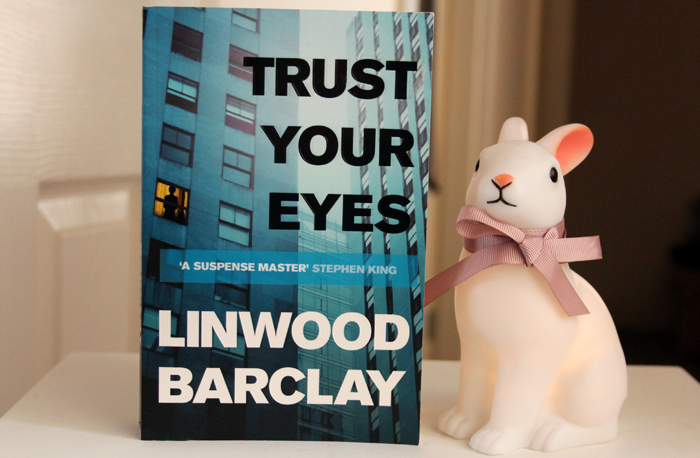 Trust Your Eyes by Linwood Barclay. When I was in Tesco, doing the ever-dull weekly food shop, I got distracted by the book section; when books are only £3 each, it can be difficult not to find myself wandering over! I was first attracted to this book because I thought the author's name was pretty spectacular and I've been wanting to read some crime/mystery novels because I'm not very well-read in that genre. And when such a positive quote about the author from Stephen King features on the cover, how could I resist? 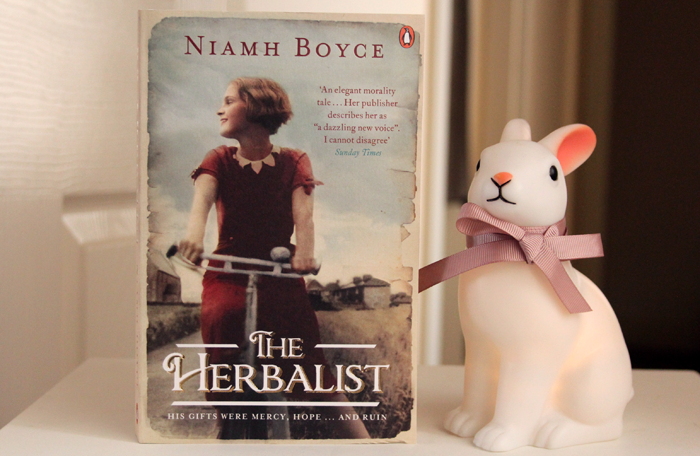 The Herbalist by Niamh Boyce*. This book landed on my doorstep this morning from the very kind people at Penguin Ireland and I was instantly captivated by the cover, I think it's beautiful and I love the font used for the title. Described as a 'beautiful and gripping story from 1930s rural Ireland, a time when women paid a terrible price for unmarried pregnancy' this wouldn't necessarily be the kind of book I would pick up but I've had a quick look at reviews on GoodReads (avoiding any possible spoilers) and although they're quite mixed, the positive comments are overwhelmingly so that I would be silly not to give it a try. I wouldn't say I have a favourite genre and I do love a book that surprises me, so this is another I'm looking forward to reading! 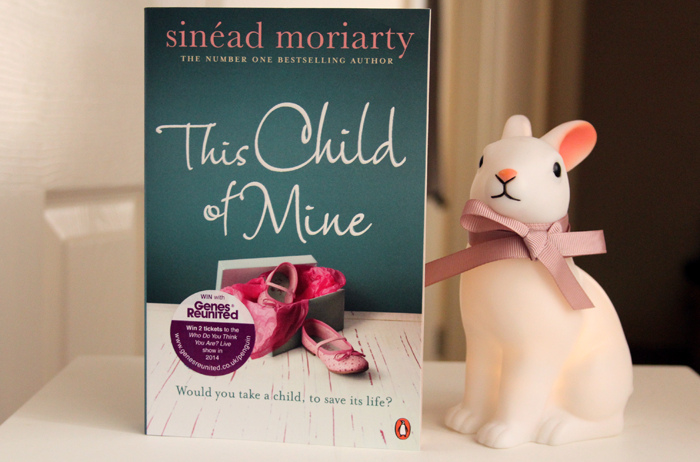 This Child of Mine by Sinéad Moriarty*. The second book I received today, also from Penguin Ireland (thank you! ), is This Child of Mine and again, the cover is beautiful. It's the story of two mothers, two daughters and the extraordinary bond of motherly love. Both mothers carry secrets and can't forget the moment their paths crossed but a chance discovery is about to bring everything into the open and mothers & daughters, love & lies, past & future, will spectacularly collide. Reviews seem very mixed with this one, I think it's a love or hate kind of book and I'm actually quite excited to see how I get on with it. You'll love The Tales of Beedle the Bard, I must've read it about twenty times, I adore it. One Day was a really interesting read, too, I really liked the way it's written. Aahhhh a big pile of books like that just makes me so happy! I've read One Day and it was really good and even made me cry a little bit. I'm currently reading my way through The Cuckoo's Calling by Robert Galbraith, aka J K Rowling. I wasn't a fan of One Day, in fact I think I posted a fairly scathing review after I'd read it, but I always find it interesting to see what others think. I haven't read any of these but I love reading! I tend to read classics more though, I did literature at uni and I loved Victorian literature :) Especially anything by Thomas Hardy! I love JK Rowling! Tales of Beedle the Bard is such a good book. I just ordered Classic Books from the Library of Hogwarts School of Witchcraft and Wizardry: Quidditch through the Ages and Fantastic Beasts and Where to Find Them -- Super excited for work to calm down so I can read them! 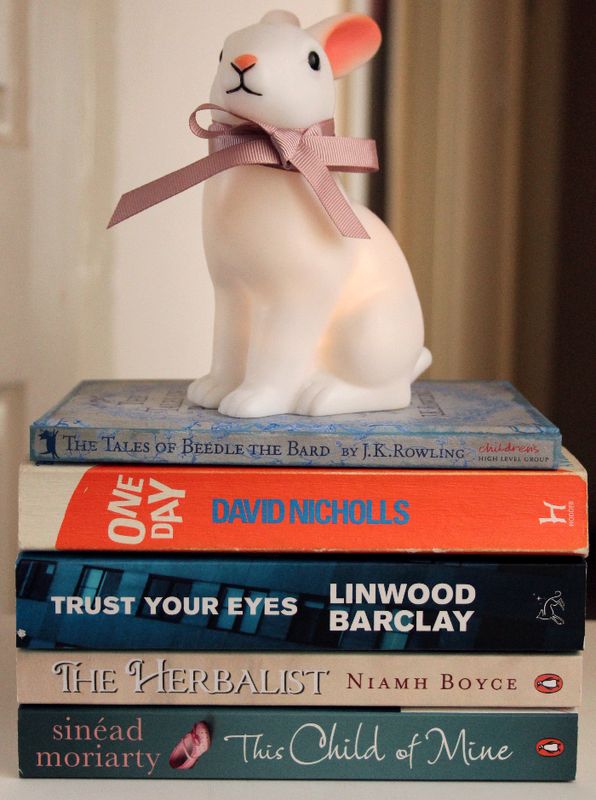 I can hear Rupert Grint saying Babbitty Rabbitty from the Harry Potter movies.You've picked out some great books, will definitely have to read 'This Child of Mine' sounds so interesting! The herbalist sounds like a really beautiful read. I'm currently drowning under the weight of nineteenth century novels that I have to read for the next 10 weeks for a uni module so any easy, recreational reading will have to take a back seat for the moment alas. Great choice in books! I wasn't a big fan of One Day, bit chick lit for me and I spent the whole thing silently screaming at the girl, but I know I'm in the minority for hating it lol. Looking forward to hearing your opinions on these, I do love a good book review :) I love different opinions too, I think books are so subjective! One Day is one of my all time favourite books. Moved me chapter after chapter. Oooo, let me know what you think of One Day. I picked it up recently but still need to start it. I am reading Filth at the moment in anticipation for the film. It's a bit grim but quite funny. Oooh Tales of Beedle the Bard! I have that buried away unread somewhere. Have you heard they're making a new film for Fantastic Beasts and Where to Find Them? Which will mean the Harry Potter world in the early 1900's. Unbelievably excited. Loving all your posts right now love! Oh I envy you. I can't read anything but books for uni at the moment. Some of them are good and quite fun to read, but I can not wait to have time and read MY choice of books one day. It's waiting for me in the shelf .. 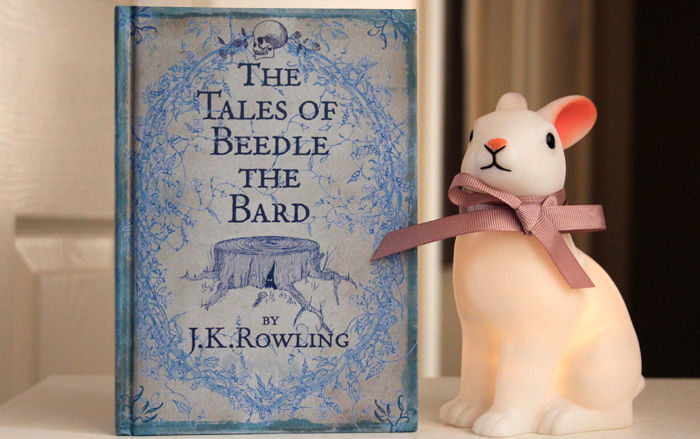 The Tales of Beedle The Bard is such a cute book, it's a great addition to the Harry Potter books. I've had One Day on my bookshelves for years now, but other (newer) books have always overshadowed it from getting read. Maybe I should make work of it soon... Have a happy time reading the books!